"She had so many bright ideas her hair turned red." P.T.S.A., Co-Editor of the News Staff, Choir, Triettes, Spanish Club, Mimes and Mummers, Golf, G.A.A., Alternate Cheerleader. Betty Wolden Endicott, 48, vice president and general manager of WTTG (Channel 5) television and a veteran of more than 20 years in Washington television news, died of cancer Aug. 19 at Suburban Hospital. Mrs. Endicott had been WTTG-TV's vice president and general manager since 1986 and before that had served four years as the station's vice president for news. Under her leadership, WTTG experienced a substantial increase in ratings and this July was the number one station in Washington in the ratings competition. Before joining the staff at WTTG, she had been news director for two years at what then was WDVM television in Washington, the first woman in Washington to hold the job of television news director. A resident of Potomac, Mrs. Endicott was born in Minnesota and graduated from the University of Minnesota, where she majored in journalism. She worked for United Press International in St. Paul and for television stations in Minneapolis and Cleveland before moving to Washington at the age of 26 to join the news staff of WRC-TV (Channel 4). There she covered the District Building and Capitol Hill, then worked as a producer, assignment editor and executive editor before joining WDVM as news director in January of 1980. 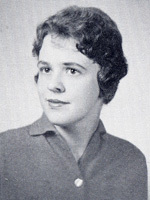 In October of 1982 she abruptly resigned in a disagreement over news policy and subsequently joined the staff of WTTG. Under her direction WTTG's "Ten O'Clock News" won an Emmy Award in 1984 for best local newscast. In 1988 Mrs. Endicott was instrumental in launching WTTG's "City Under Siege" program on the drug crisis in the nation's capital. That program received a Washington Community Service Award this year. Mrs. Endicott was a member of the Washington Area Broadcasters Association, Washington Board of Trade Communications Bureau, Radio Television News Directors and Potomac Presbyterian Church. Her marriage to Bob Endicott ended in divorce. Survivors include two children, Sarah Endicott and Matthew Endicott, both of Potomac; her mother, Margaret Wolden of Richfield, Minn.; and a brother, William Wolden of Duluth, Minn.